In his message for the 50th anniversary of the World Day of Peace. This entry was posted in Militarism and Christianity, Nonviolence, Pope Francis on December 14, 2016 by Cammy. One has opened in Iran. Is this really so different than our own government developing video games for kids like America’s Army? It raises the question: cute or offensive? This entry was posted in Military Culture (of Death), Perversion and Propaganda on December 9, 2016 by Cammy. 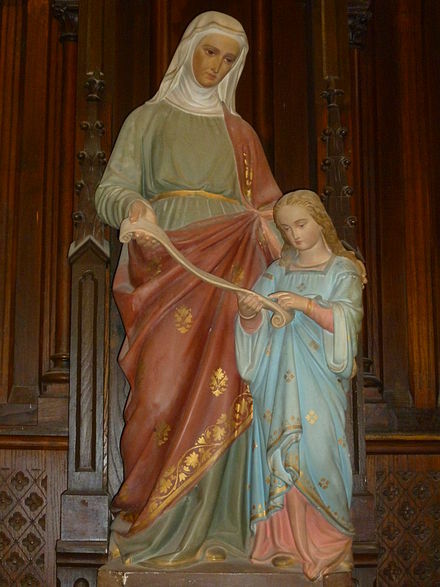 St. Anne and Mary as a young girl. This entry was posted in Poets and Poetry on December 8, 2016 by Cammy. A little bit about the real Santa Claus. This entry was posted in Militarism and Christianity, Saints and Soldiers on December 6, 2016 by Cammy.